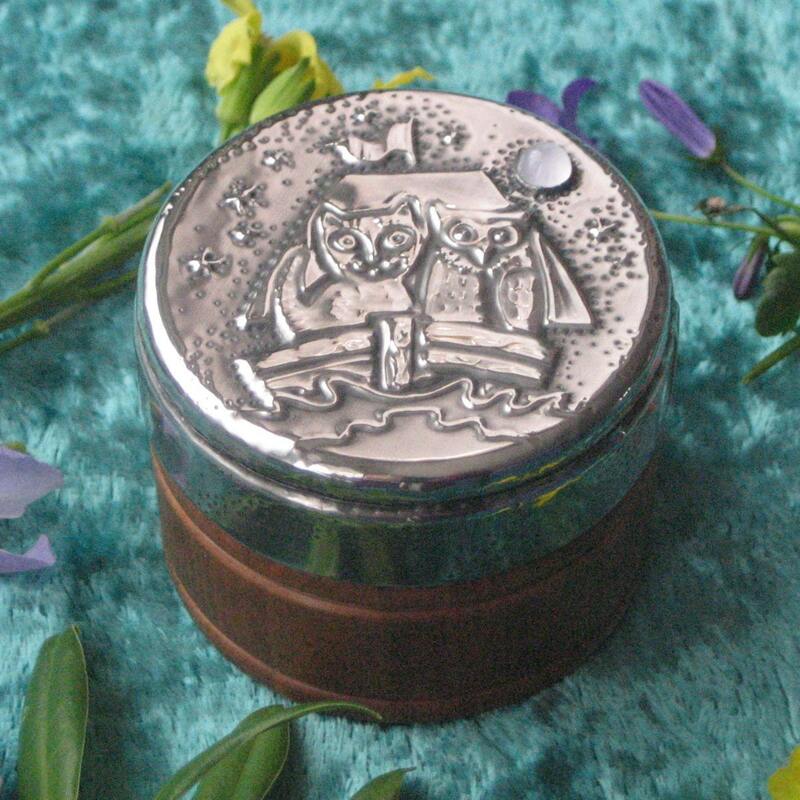 This small wooden box has been transformed with a lid of handmade pewter, featuring the famous duo sailing beneath a genuine moonstone moon. It measures 53mm (1.75ins) in height and is 55mm (2.25ins) in diameter.The wood has been lightly tinted. Each pewter piece has been individually made by hand (not cast) to my own design. A pattern is raised on a sheet of pewter, then the raised area is filled. The item is then mounted on a rigid base,chemically patinated, then polished.Modern pewter is lead-free and after patination has a shiny,almost reflective,finish.It does not blacken like silver and can be brightened, if necessary,with a smear of metal polish and a buffing with a soft cloth. Folksy :: Buy "The Owl and the Pussycat pewter brooch with rose quartz"